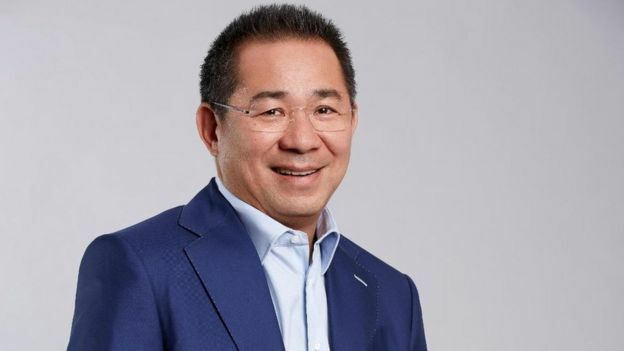 Vichai Srivaddhanaprabha was in the helicopter when it came down at about 20:30 BST on Saturday, a source close to the family has told the BBC. 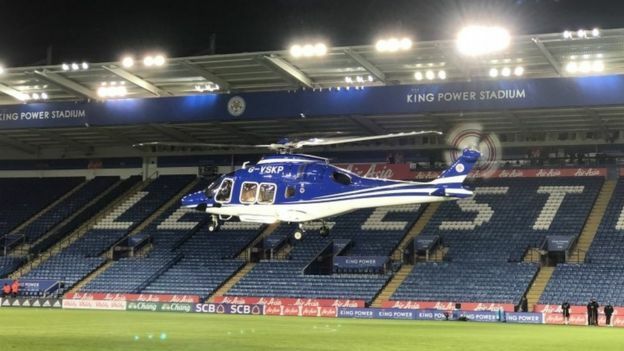 Freelance photographer Ryan Brown, who was covering the game, saw the helicopter clear the King Power Stadium before it crashed. He told BBC Radio Leicester: “The engine stopped and I turned round and it made a bit of a whirring noise, like a grinding noise. Leo Bruka told 5 Live that he saw two police officers whose car was near the crash scene. “One of them was looking for something and the other one, he ran straight away to the helicopter and he was trying to break the window,” he said. 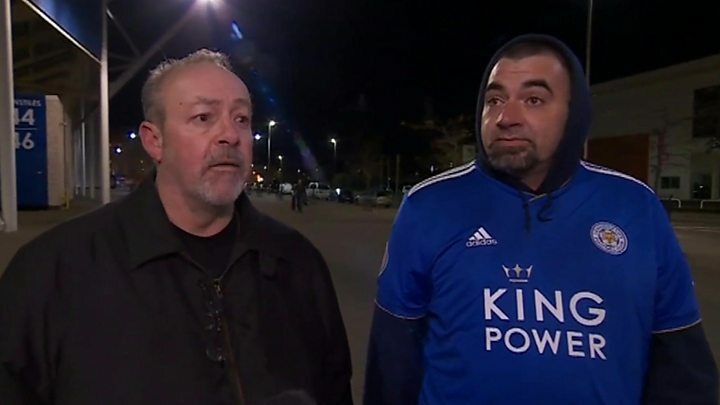 A Leicester season ticker holder, who did not wish to be named, said he saw goalkeeper Kasper Schmeichel run out from the stadium followed by “loads of security guards and stewards”. “I was stood outside the ground but it crashed on the other side,” he said. 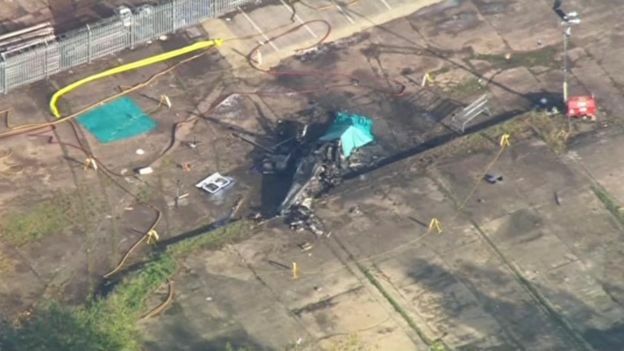 Another witness said it appeared “the tail propeller wasn’t working, putting it into a spin”. There has been a steady flow of people wearing Leicester City shirts and hats this morning. Despite the number of fans gathered here it’s very quiet. Lots of children are also here with their parents laying flowers outside the ground. Many people have been in tears as they approach stadium and they’ve all been consoling each other. Andrew Brodie, assistant chief fire officer at Leicestershire Fire and Rescue Service, said the crash was “clearly serious and tragic”. He tweeted early on Sunday that he had just left “multiagency strategic meetings” at Leicestershire Police’s HQ, and asked for people not to speculate on the causes or people involved. “Think of families, friends, responders, and @LCFC and their fans,” he said. 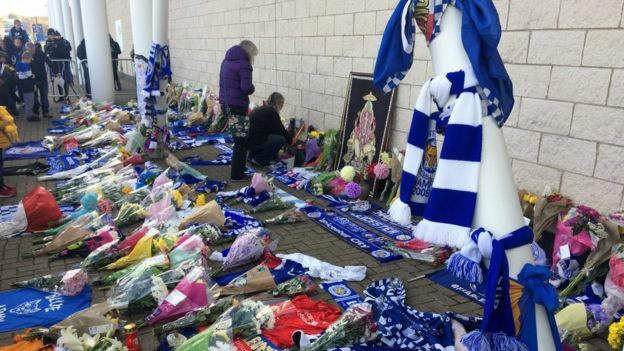 Leicestershire Police said officers were working alongside the other emergency services, the Air Accidents Investigation Branch (AAIB) and Leicester City FC to establish the circumstances of the collision. 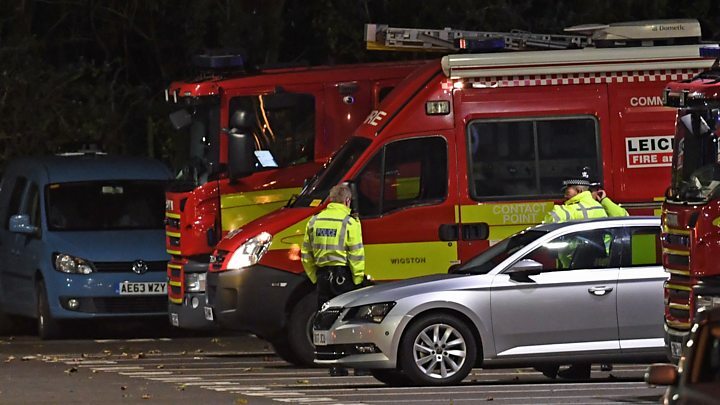 Nick Rushton, leader of Leicestershire County Council, said he was “deeply concerned” by the crash, and paid tribute to emergency services staff for their “professional response”. Labour MP Jon Ashworth, who represents Leicester South, said he had been in touch with emergency services and thanked them for responding so quickly. It is really eerie around Leicester at the minute. I have seen staff, backroom staff and [the] first team in tears here this evening. The reception area is described as silent, people looking around and crying and not knowing what to do and consoling each other. I remember the owners taking over. I said hello to them in native tongue, their face lit up. I have generated relationships with them, seen them in Thailand in Bangkok in their home surrounding, they are really nice people. The chairman looked at me today on the way to the executive box and said “hello and good afternoon”. He donated millions of pounds to Leicester Royal Infirmary, and also gave money to the University of Leicester. He’s taken Leicester into his own heart – it’s a hugely important place for him that he’s made home. It’s a one-club city here in Leicester, and we’ve welcomed him with open arms. 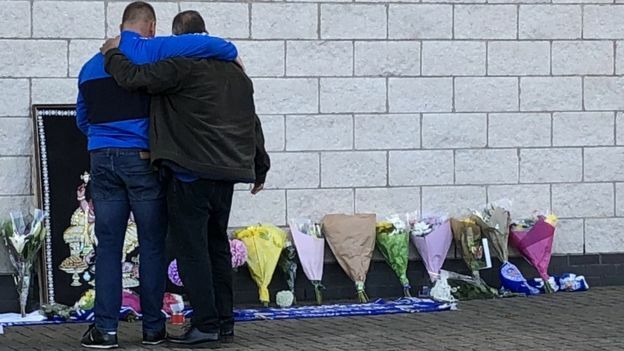 Leicester Mayor Peter Soulsby tweeted that his thoughts and prayers were “with all – particularly owners who’ve done so much for club and our city”. 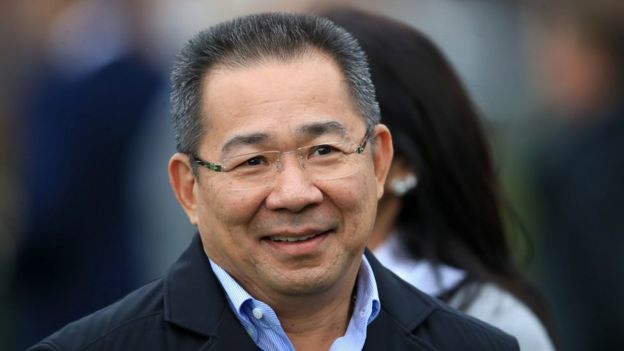 Mark Kent, the former British ambassador to Thailand, said he was “shocked” to hear of the crash, adding that he had celebrated Leicester’s 2016 title win with the club’s chairman. 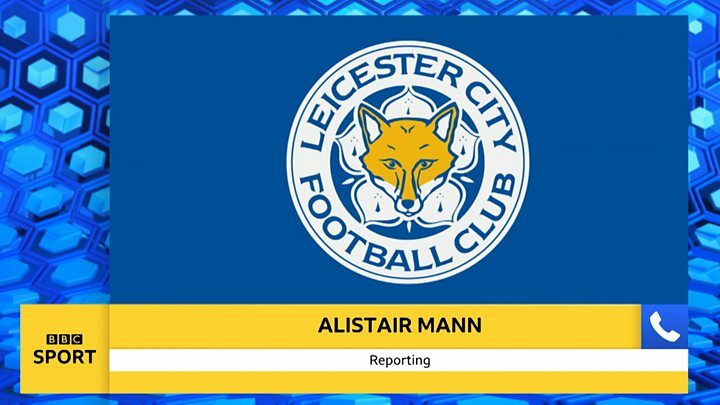 A match between Leicester City Women and Manchester United Women that was set to take place on Sunday has been postponed. Former Leicester City and England striker Gary Lineker signed off on Match of the Day by saying it had been a “dreadful day”, while BT Sport’s Jake Humphrey – who was broadcasting from the King Power Stadium – said it was the “single hardest moment” of his career. Several current and former Leicester City players, including striker Jamie Vardy and ex-England goalkeeper Peter Shilton, and West Ham have tweeted since the crash.